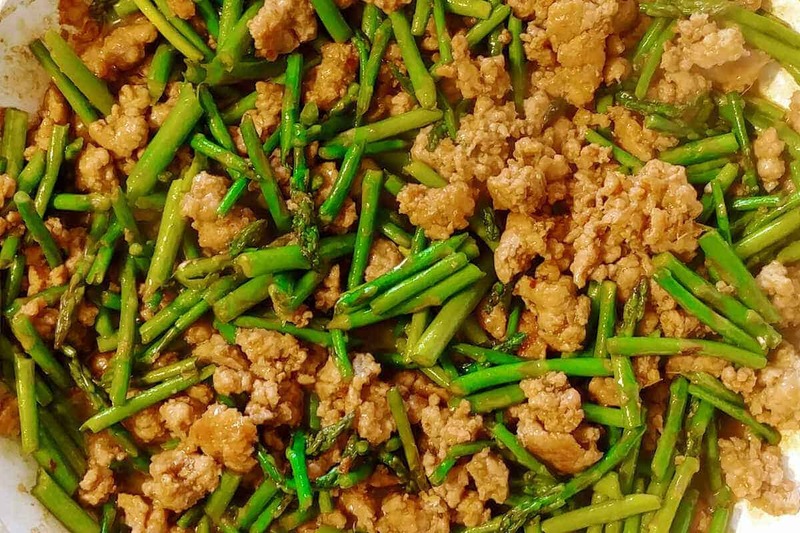 Making and enjoying this recipe for Spicy Pork with Asparagus is directly related to our spring cleaning efforts. Recently Alex and I have gone through much of our stuff to try to downsize. One day, eventually, we will buy a house, and we had might as well start getting rid of stuff now. We don’t have nearly so much as we used to – we got rid of a lot of stuff when we moved to New Jersey from St. Louis. Even so, we have plenty of stuff sitting around in our basement. We’re not minimalists, but neither of us is as attached to “stuff” as we used to be. Honestly, we’ve seen the hassle that too much stuff can be. So, we’ve donated or sold some things. Some of this has been nic-nacs, or books and DVDs (because let’s face it – there’s a lot we’re never going to read or watch again). But gosh – there’s been so much paper that we’ve been able to recycle. I never threw out food magazines when I lived in Illinois. I read (most of) them, but I never pulled out recipes. At the time, I thought I’d rather just keep magazines whole, as resources. (I also hate writing in books – let’s keep them pristine!) I started pulling out recipes in St. Louis and getting rid of the magazines in an attempt to reduce clutter. When we moved again, I weeded through everything and recycled a lot of stuff, except for Thanksgiving/Christmas editions of various things because I could always use more inspiration at the holidays. (Right?) In the 3 1/2 years since we moved to New Jersey, all those magazines and recipes sat in a box in the basement. Definitely time to clear things out. 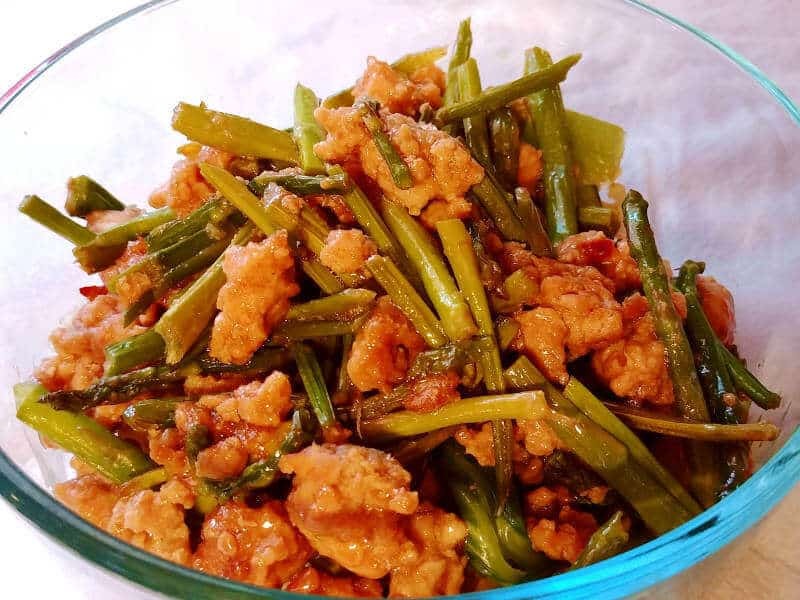 This recipe for Spicy Pork and Asparagus is one of those loose recipes that I found. I got rid of several recipes because I cook differently now than I did before I had Amelia – I don’t have time to make elaborate things. So often, the recipes from Saveur and Bon Appetit (where this recipe comes from) are too complicated for the way I cook now, but not this one. 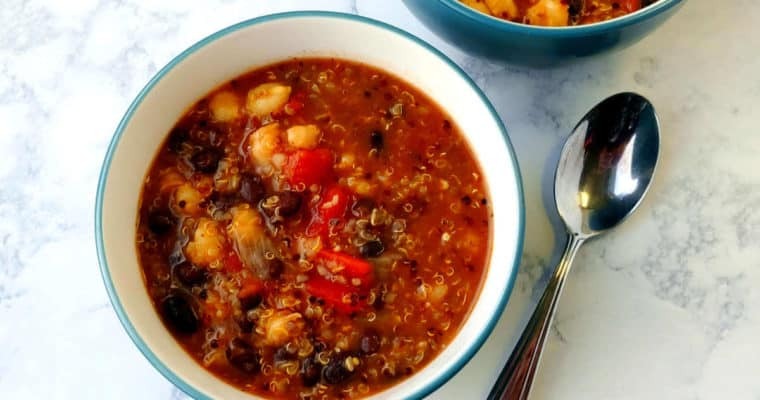 It’s perfect – one of those recipes that’s quick and delicious, and that doesn’t have extra steps or excessive ingredients. I’m so glad I tried this. The recipe came together quickly and had minimal prep. It was very delicious. All three of us devoured it and looked forward to leftovers. I served this over plain steamed rice and with sauteed baby bok choy on the side. 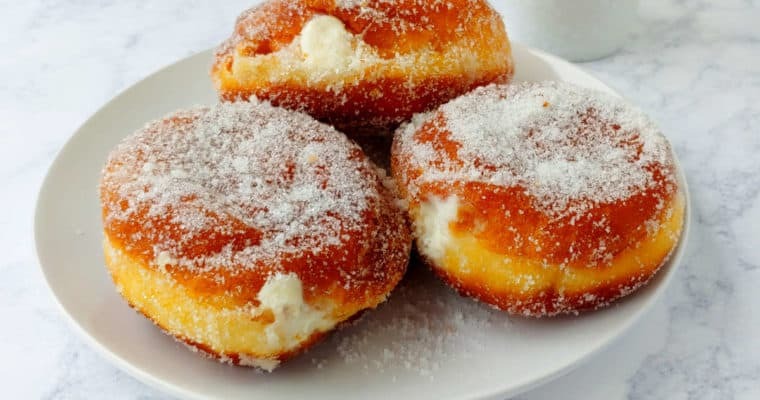 I made some small changes to the recipe. I don’t usually get hot peppers, so I cut that the red jalapeno and used a small amount of red pepper flakes instead; with Amelia, we don’t eat anything too spicy with Amelia. I used vermouth, as I usually do, instead of wine; we seldom have a bottle of wine around but we always have vermouth, since it sits around in the fridge after we try it (again) and realize we don’t like it that much. The pork is the perfect amount of salty when I use light/lower sodium soy sauce. If there’s any sodium solution added to your pork (I bought a package once that did, by accident), your meal will be salty; you may need to cut back on the soy sauce a little bit in that case, or add extra asparagus. If you don’t want to buy oyster sauce, you can try to use 2 tablespoons more of soy sauce, as well as a pinch of brown sugar or a little extra honey, but it won’t be quite the same flavor. 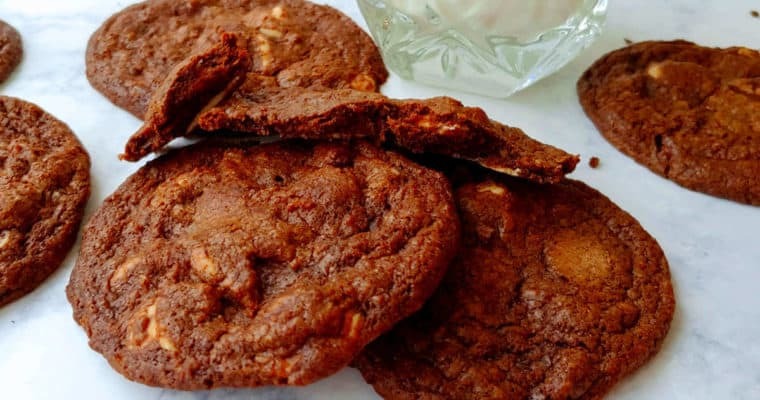 Aside from this recipe being delicious, there’s one more thing I love about this dish. 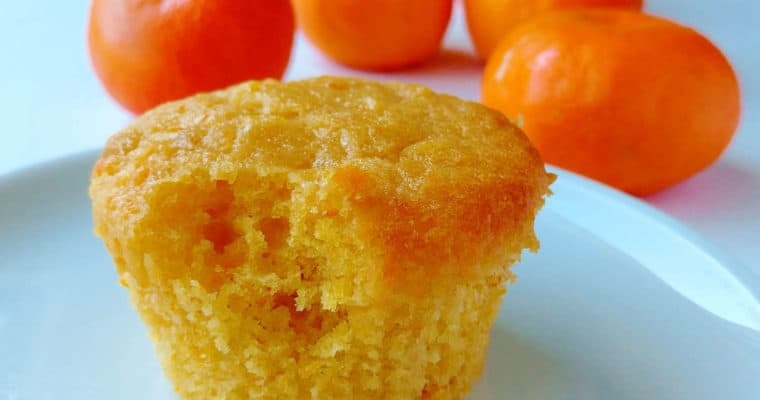 I really am able to make this recipe from start to finish in just 30 minutes, without being flustered when I sit down. You may also like this Caramel Pork or this Soy and Cola Braised Pork (that can be made mostly in the slow cooker). 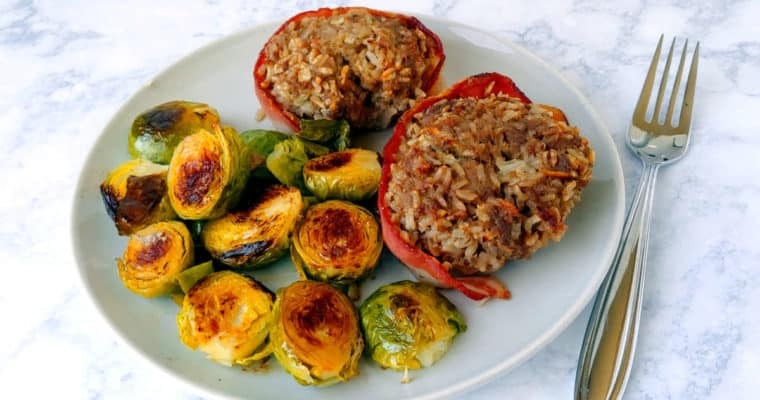 If you liked this recipe, please leave a comment below! This delicious Chinese-inspired recipe comes together in just 30 minutes. Whisk together 2 tablespoons soy sauce, rice wine, and cornstarch in a medium bowl. Add pork and mix to combine. In a large skillet (mine was non-stick), heat 2 teaspoons sesame oil over medium to medium-high heat. Add asparagus, ginger, and chili flakes. Cook for about 3 minutes, until asparagus is cooked but crisp. Transfer to a plate. Heat 1 teaspoon sesame oil in the skillet. Add the pork and cook for 2-3 minutes, using a wooden spoon to break it up into little pieces, until browned and pork is no longer pink. Meanwhile, combine 4 tablespoons soy sauce, oyster sauce, and honey in a small bowl. Set aside. Add asparagus to the pork. Add in the soy sauce mixture and 1 tablespoon water; stir to combine. 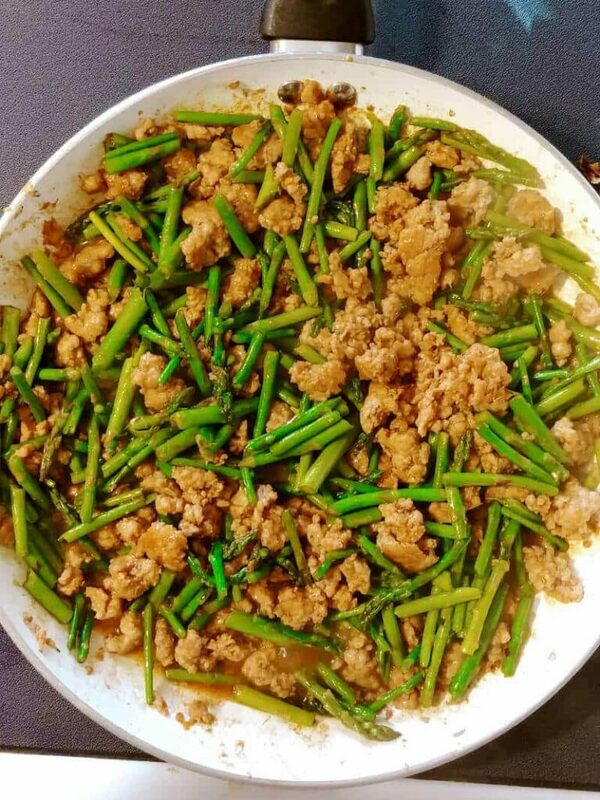 Cook for another 2 minutes, adding another tablespoon of water if the pork seems dry. 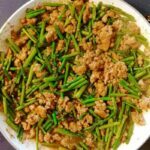 Serve pork and asparagus over rice. 1/4 teaspoon red pepper flakes is just a starting point, perfect for anyone who likes a touch of heat (like my daughter). Increase to taste. The original recipe called for 1 red jalapeno - likely much spicier.